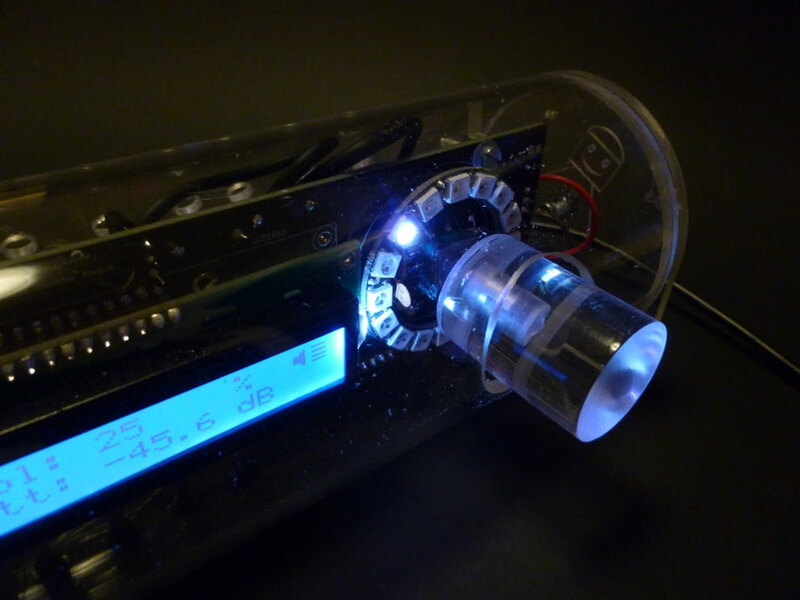 MAX9744 Amp Incorporates NeoPixel Ring, Plexi Rod Knob, Soft Mute, Other ‘Gimmicks’ « Adafruit Industries – Makers, hackers, artists, designers and engineers! Kudos to Marcell from TransistorLove Industries for this MAX9744-based tube amp build. The NeoPixel diffused through the plexiglass rod is a nice effect, as are the plexi feet for keeping the amp stationary. 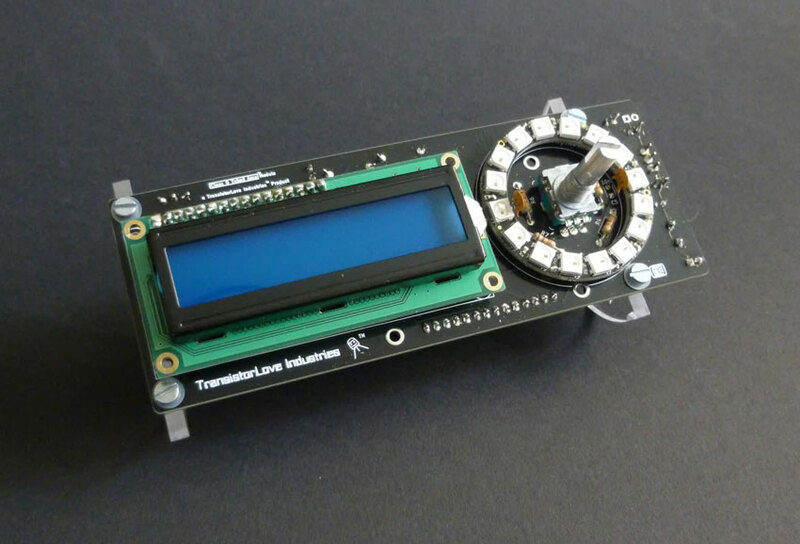 Follow his progress over at Hackaday.io. I’m curious to see the full back-panel I/Os myself. Stereo 20W Class D Audio Amplifier – MAX9744: Pump up the volume with this 20W stereo amplifier! This slim little board has a class D amplifier onboard that can drive 2 channels of 4-8 ohm impedance speakers at 20W each. Power it with 5-12VDC using the onboard DC power jack and plug stereo line level into the 3.5mm stereo headphone jack and jam out with ease. Since it’s class D, its completely cool-running, no heat sinks are required and it’s extremely efficient – up to 93% efficiency makes it great for portable or battery powered rigs. Read more. 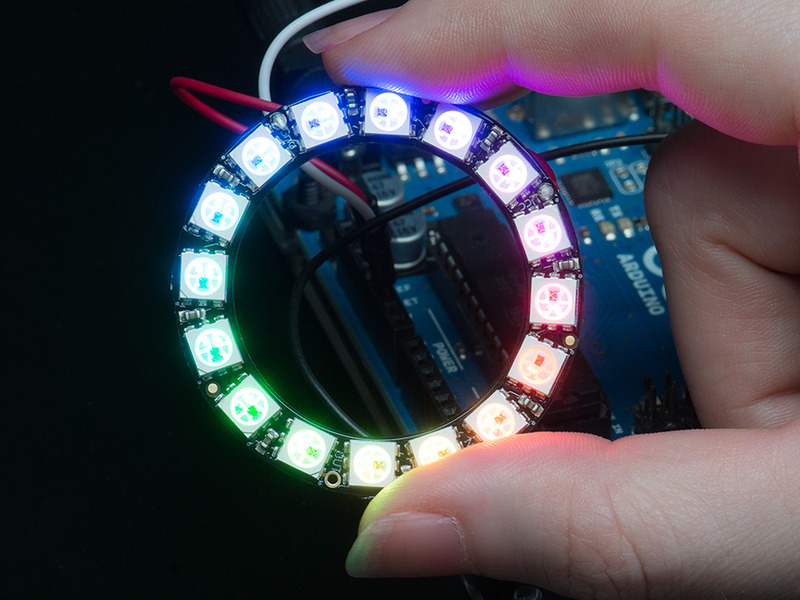 NeoPixel Ring – 16 x 5050 RGB LED with Integrated Drivers: Round and round and round they go! 16 ultra bright smart LED NeoPixels are arranged in a circle with 1.75″ (44.5mm) outer diameter. The rings are ‘chainable’ – connect the output pin of one to the input pin of another. Use only one microcontroller pin to control as many as you can chain together! Each LED is addressable as the driver chip is inside the LED. Each one has ~18mA constant current drive so the color will be very consistent even if the voltage varies, and no external choke resistors are required making the design slim. 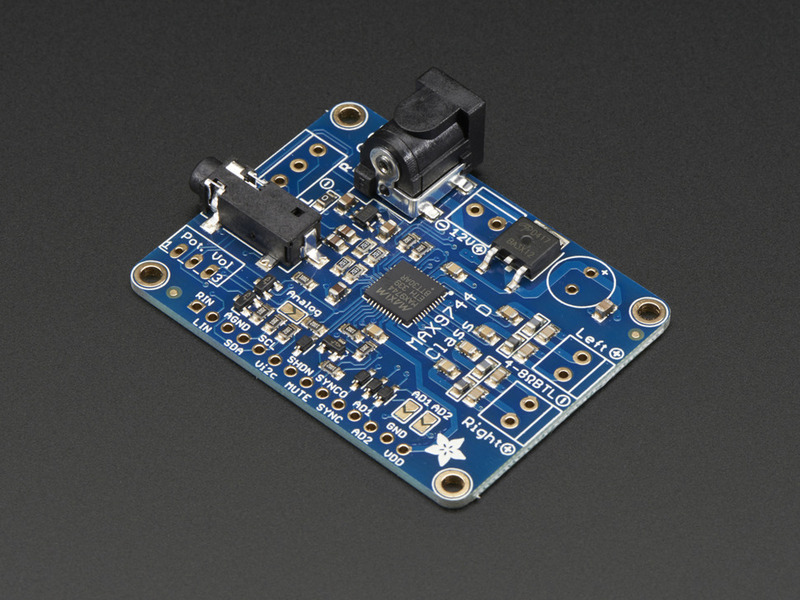 Power the whole thing with 5VDC (4-7V works) and you’re ready to rock. Read more.